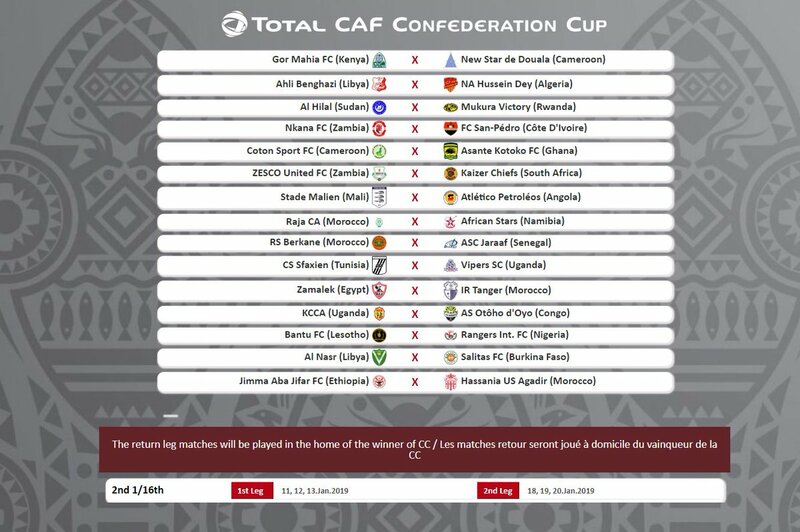 The draw for the pre-group stage of the CAF Confederation Cup is out. The first legs will be played between 11th, 12th and 13th January with the second legs set for 18th, 19th and 20th June. Second leg: 19-20 January 2019. 14. Jimma Aba Jifar FC (Ethiopia) vs Hassania US Agadir (Morocco).